Can a Girlfriend Maintain a Friendship with an Ex? Don't compare your relationship with what she has with her ex. Even though she's committed to you, your girlfriend may want to stay friends with her ex. Wondering if your girlfriend can do this while maintaining a healthy relationship with you is a normal reaction. Depending on the nature of her relationship with her ex, how much you trust each other and your comfort level, your girl may -- or may not -- keep talking to her ex while she dates you. Whether or not your girl can keep a steady friendship going with her ex depends on how long ago the two of them split up. Considering that she's dating you, it's likely that enough time has gone by for her to truly separate from her ex and move on. As long as she has moved on, she can maintain a friendship with her ex. On the other hand, if you notice that she gets weepy when she walks past the place where they first kissed or hears "their song," it's too soon for her to befriend her ex. Before you get comfortable with the notion of your girlfriend staying friends with her ex, ask her why she wants to carry on a relationship with him. If she feels that their romance is solidly platonic, if they were friends beforehand or for another similarly innocent reason, the friendship is likely okay to proceed. If you feel that she has ulterior motives, it's acceptable to question this so-called friendship. For example, if she's playing games with him and wants to throw her new relationship with you in his face, she shouldn't stay friends with her ex. Feeling comfortable with your girl staying friends with her ex takes trust. Having trust is vital to a healthy relationship, notes the Stayteen.org article "What's Your Relationship Reality?" If you truly trust your girlfriend, you have little to worry about when it comes to her friendship with her ex. That's not to say that rekindling their romance is an impossibility. Even though you can't control what she does or what happens between the two of them, having a trusting relationship means that you can expect honesty from her. For example, if she does start having feelings for her ex, she'll act honestly and tell you what's up before anything happens. Does your girlfriend isolate her relationship with her ex from you, hiding it from you? Or does she make it public and invite you along on outings with the two of them? There's no rule saying that she must invite you when they have coffee or drinks or go to a movie. 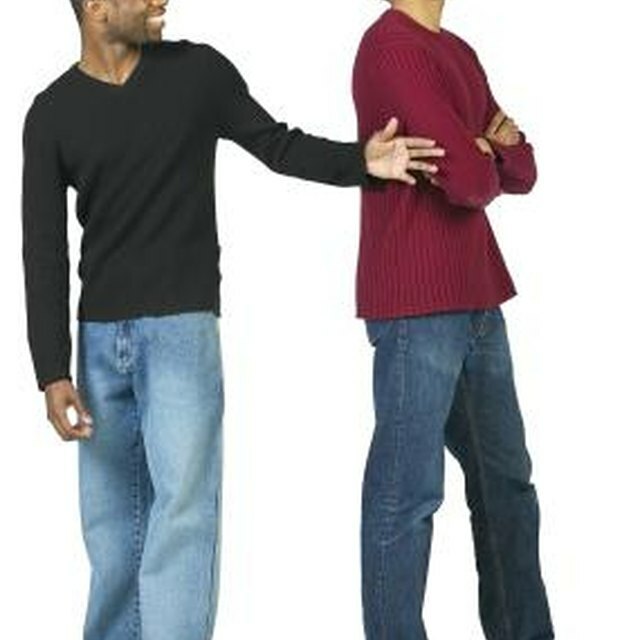 That said, psychologist Irene S. Levine notes that you can become friends with your partner's ex. Striking up your own friendship with your girlfriend's ex might make their relationship easier for you to understand or help you see why you can trust both of them to keep things platonic. Huffington Post: Friends with Ex: Should You Be Friends with Your Ex Post-Split? Loop, Erica. "Can a Girlfriend Maintain a Friendship with an Ex?" Synonym, https://classroom.synonym.com/can-girlfriend-maintain-friendship-ex-21877.html. Accessed 22 April 2019.